Gambit have announced that they have removed Dauren “AdreN” Kystaubayev from the active roster and are accepting offers for the Kazakh. Darren has spent almost three years in our organisation by joining CSGO division upon its opening. Together with Gambit he secured a lot of beautiful victories and earned an impressive amount of titles. It’s time for change, both for him and our CSGO roster. With that in mind, we support his decision to prove himself in another team, possibly in another region. The announcement follows the footsteps of Abay “Hobbit” Khasenov, who was transfer listed last month. The organisation also stated that the next tournament they will play is SuperNova in November, giving them a month to find their replacement. 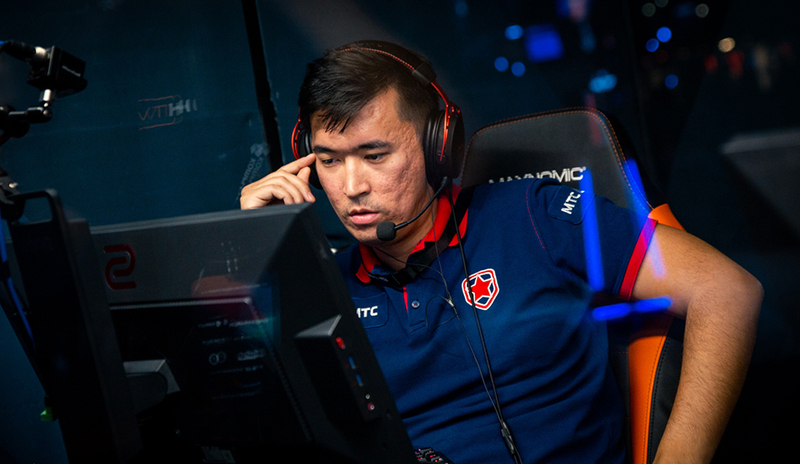 The veteran CIS player, who completed 3 years in Gambit in August, has been instrumental in Gambit’s success, with the PGL Krakow Major victory being his biggest achievement, where adjourned the MVP of the tournament. He has also won the ROG Masters 2017, DreamHack Open Austin 2017 and DreamHack Open Winter 2016 being his other wins under the roster. This means that only two of the players from the Major winning squad, mou and Dosia remain in the roster, as it remains to be seen if they look to replace the 2 players or will pick up another squad altogether.